Personal Injury Attorney Narbeh Shirvanian is a Top Personal Injury Lawyer representing clients who have been injured in an accident in thorough and aggressive manner ensuring optimal results. © 2018 Shirvanian Law Firm. All rights reserved. After an auto accident leaves you with an injury it is often confusing as to what the next steps are in order for you to get the money that you deserve from the other party’s insurance. 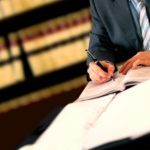 The ins and outs of personal injury law can be extremely confusing and cause more of a headache, especially when trying to recover from an injury. An auto accident attorney, a personal injury lawyer that specializes in cases like yours, is a great asset to bring aboard so that you can be sure that you get a settlement that is satisfactory to you. A good auto accident attorney will have the experience needed to assess what is a fair amount to ask for your particular case. They will have the experience needed to be able to tell you how much to expect and what you can keep pushing for. They will be able to asses a good amount to be negotiating for based on medical costs accrued, lost wages, and other damages. A trustworthy auto accident attorney will be able to work with you to get you what you need. They will be attentive and be able to build their case around the particulars of your case, and the damages you are owed. Often going after insurance companies for a settlement requires a lot of time, a lot of patience and a lot of persistence. The proceedings are very technical, and sometimes it is very unclear what the next step is, especially if you have no experience in something like this. Personal injury law has many layers and regulations and precedents that you must become familiar with in order to get your fair settlement. An auto accident attorney has the resources to research the facts for you and has the resources – the right staff and team – to be persistent in seeking your settlement. Persistence is often needed in negotiations, as many settlements require multiple rounds of negotiation in order to get you the settlement you deserve. If this is your first time dealing with a personal injury claim, or trying to seek a settlement from an insurance company, you may feel a little out of your depth. An auto accident attorney will be able to give you the benefit of their experience to tell you whether or not an offer from the insurance company is a fair deal or could be negotiated higher. They will also be able to cite precedent and be able to give you examples from previous and similar cases to yours to serve as a benchmark for success. Experience and familiarity with dealing with personal injury law can be the difference between a bad settlement and getting one that fits your needs. Having a personal injury lawyer can be the difference between success and a headache of legal paperwork and language to have to sort through. An auto accident attorney will have a plan in place to be able to show you how exactly they will fight for your settlement. After collecting all the necessary information from you, they will begin the process and keep you informed of any changes or new information they might need. You can then focus on healing, sure that your case is being handled and that you have a clear plan of how to expect the negotiations to go. An experienced auto accident attorney will help you by explaining any unclear steps that need to be taken or explaining any pieces of information sent to you by the insurance company so that you always feel like you are in the loop and able to handle whatever the process requires. Should you have to move to litigation, you’ll already have an experienced team behind you to be able to follow you through the legal proceedings. What do I do after a bicycle accident in California? What happens when you get in an accident while car sharing? Should I contact a Car Accident Lawyer if I’m at Fault? What is wrongful death and how are the settlements calculated? The Shirvanian Law Firm is a full-service litigation law firm offering injured clients a welcoming environment and personalized legal care.